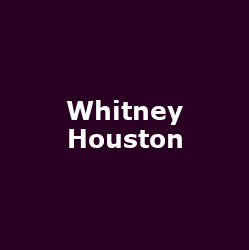 American pop/ soul superstar Whitney Houston is to play a string of UK arena dates next April, starting in Manchester at the Evening News Arena on Thursday 8th April, with dates at the SECC in Glasgow (11th), Birmingham's LG (NEC) Arena (13th), the Metro Radio Arena in Newcastle (22nd and finally (currently) London's O2 Arena on Sunday 25th April 2010. Tickets start at £50 and are on sale on Thursday at 9AM for the Birmingham NEC and London O2 Arena dates, with the other tickets going on sale this Friday (16th October) at 9AM. Oct 2009:Whitney Houston makes it a hat-trick at the O2 Arena for April 2010!